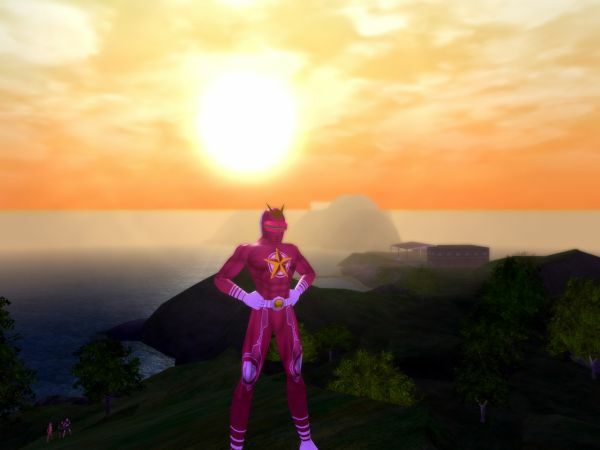 I think this past week was the first week I have not played City of Heroes since the game came out, more than 7 years ago. Yes, that includes vacations, the Holiday season, the flu, NaNoWriMo, everything I can think of. At first I just skipped it a couple days because I had gotten two expansion packs (cheap) for The Sims 3, and I only had so much time for gaming after all. After those couple days, the urge to play it has not yet return, as it always did before. For now at least, it suddenly just does not interest me anymore. One thing that may have influenced me is the announcement, which happened just after those first couple days, that the game is changing payment model. This fall it will become free to play, but with a lot of restrictions that you can only get around by buying the advantages you want piecemeal, or continue to subscribe. This should draw in a number of cheapskates, I suppose, and it is not like the subscribers lose anything. New content is being developed as usual, at least for now. It seems likely that some of the oldtimers are also going to drop their subscription and play the reduced version. I don’t know if I am going to do either. Probably. It is a good game. In fact, on a scale of good versus evil, it is probably the best I have seen. It casts you as a hero fighting to protect the innocent and punish the guilty. But still fighting. I am currently not in the mood to fight imaginary characters. You’d think that this would be the ideal way to get out some aggression after losing my beautiful home. But instead I have been playing the Sims 3. My self-sim, the best representation of myself in the game, has worked his way up from a broke high-school student living alone in a small home, to a famous scientist. He has mastered the skills of gardening, painting and sculpting and raised his adoptive daughter from a toddler to a smart and successful teenager. I really enjoyed that, more so than fighting giant robots. It’s not like I’m growing up or anything, don’t worry. But whether it is a lasting change or just a pause, I thought it was worth documenting.